History Channels Roots re-imagining premieres on May 30 at 8 PM EST/9 CST . It will air simultaneously on the channels History, A&E and Lifetime over four consecutive nights. The four-night, eight-hour event series developed by HISTORY, from A+E Studios, is a historical portrait of American slavery recounting the journey of one family and their will to survive and ultimately carry on their legacy despite hardship. The stellar cast includes Academy Award® winners Forest Whitaker ("Fiddler") and Anna Paquin ("Nancy Holt"); Academy Award® nominee and Emmy Award® winner Laurence Fishburne ("Alex Haley"); Golden Globe Award® winning and Emmy Award® nominated actor Jonathan Rhys Meyers ("Tom Lea"); Tony Award® winner Anika Noni Rose ("Kizzy"); Grammy Award® winner Tip "T.I." Harris ("Cyrus"); Chad L. Coleman ("Mingo"); Emayatzy Corinealdi ("Belle"); Matthew Goode ("Dr. William Waller"); Derek Luke ("Silla Ba Dibba"); Mekhi Phifer ("Jerusalem"); James Purefoy ("John Waller"); Erica Tazel ("Matilda") and introduces Regé-Jean Page ("Chicken George") and Malachi Kirby ("Kunta Kinte"). "'Roots' will allow new audiences to experience this epic family saga with a new vision that is both inspiring and tremendously entertaining," said Buccieri. "We are proud that HISTORY will be able to bring new life to this powerful story that remains as important today as it did when the original 'Roots' first premiered." "Nearly 40 years ago I had the privilege to be a part of an epic television event that started an important conversation in America," said LeVar Burton, Co-Executive Producer. "I am incredibly proud to be a part of this new retelling and start the dialogue again, at a time when it is needed more than ever." "Roots" is an A+E Studios production in association with Marc Toberoff and The Wolper Organization, the company that produced the original "Roots." Will Packer, Marc Toberoff, Mark Wolper, Lawrence Konner, Mark Rosenthal and Barry Jossen serve as executive producers. LeVar Burton and Korin D. Huggins are co-executive producers. Questlove is executive music producer. "Roots" is directed by Phillip Noyce, Mario Van Peebles, Thomas Carter and Bruce Beresford. Arturo Interian and Michael Stiller serve as Executives in Charge of Production for HISTORY. 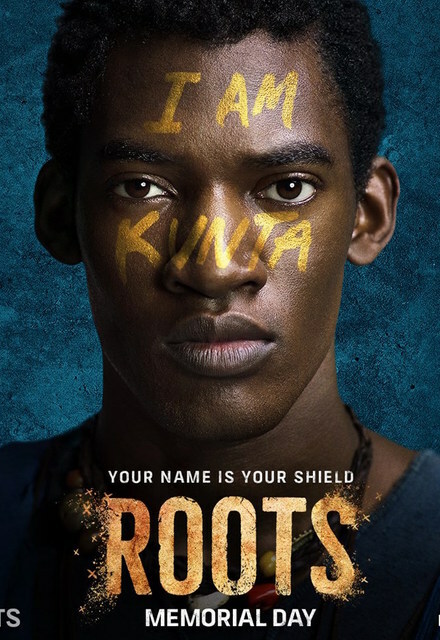 A+E Networks handles international distribution for "Roots".